This compact wide angle lens has the focal length equivalent to 24mm in the 35mm format and a maximum aperture of F2.8, making it the perfect choice for landscape and travel photography. It complements the already-released “XF23mmF2 R WR,” “XF35mmF2 R WR” and “XF50mmF2 R WR” series of small, stylish prime lenses, covering wide angle to mid-telephoto focal lengths. This lens boasts a 5x zoom range equivalent to 24-122mm in the 35mm format while keeping a constant maximum aperture of F4.0. Its broad focal range makes it a very versatile lens capable of covering a wide range of shooting scenarios. This ultra-fast lens promises to be the world’s first mirrorless camera lens with a maximum aperture of F1.0 and AF capability. 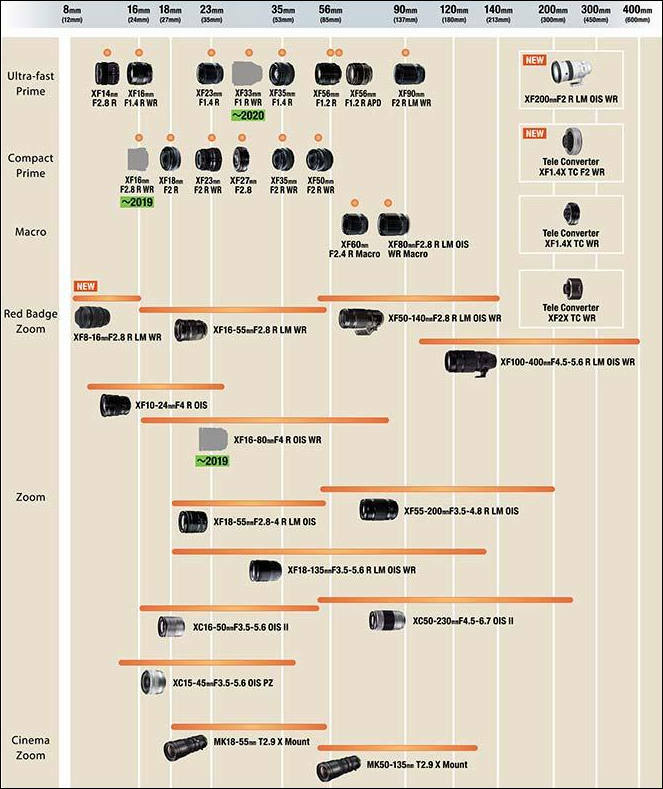 FUJIFILM Corporation is committed to continued expansion of its already comprehensive XF lens lineup to cover even broader shooting ranges and to meet diverse photographic needs.